Description: This is an abstract for the Student List Report, which generates a basic list of all students a user searches for based on filtering criteria. 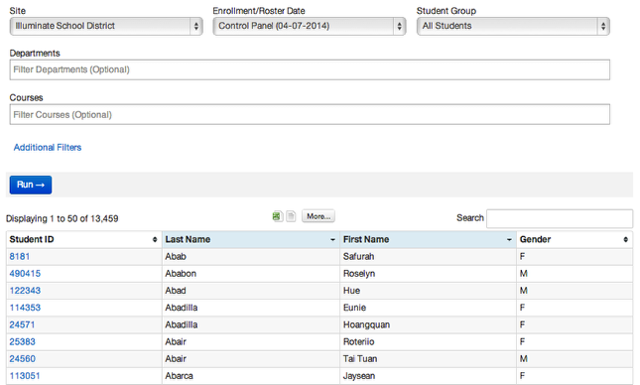 Purpose: Provides a list of students for reference or to export to Excel or Txt. Student ID, Last Name, First Name and Gender. Each line represents one student's data by ID, Last Name, First Name, and Gender. This list can be printed and/or downloaded to Excel or Txt formats.